Delta is known as the founder of light emitting diode (LED) technology. 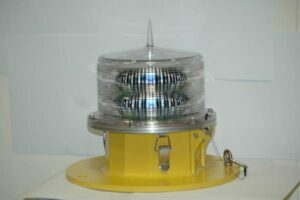 It now specialises in producing long-lasting LED aircraft warning lights, aviation warning lights, navigational lights, obstruction lights, obstruction beacons, flashing lights and crane lights with cutting-edge technology in the ranges of low intensity and medium intensity, in line with the civil / federal aviation authority requirements’ ICAO annex 14. Delta specialises in the design, manufacture, installation and maintenance of LED aircraft warning lights and aviation warning lights. We can supply and install either individual lights or entire systems. Delta are recognised as the most competitive supplier in the market maintaining their high quality standards. Unlike expensive neon lighting, Delta’s LED technology gives the client a long-lasting and cost-saving light. Delta’s LED airport warning lights do not need expensive, urgent maintenance to replace bulbs, and they have one of the best operational lifespans in the market. The advanced design of our lighting systems also reduces the threat of a total blackout. As well as manufacturing Delta branded lights, we are also the official installation contractors, distributors and agents of other recognised brands such as Honeywell, Orga and Flash Technology USA. Delta’s sister company, Delta Middle East, manufactures airport warning lights for the ever-expanding Middle Eastern market. 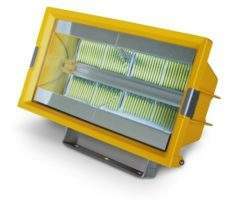 Delta’s WL3000 LED obstruction beacon is a medium intensity, omni-directional obstruction light designed for long-life and low-maintenance use, and is therefore ideally suited for positions of limited access. It meets the requirements of ICAO and CAA. Suitable for marking obstructions such as chimneys, masts, and buildings with high background luminance in remote areas, Delta’s obstruction beacons are crucial for marking tall structures which may serve as a hazard to aircraft. Low maintenance and designed for long life, Delta’s WL3000 LED obstruction beacon is ideal for positions of limited access. Low operational costs, low power consumption (≥60w) and an objective element life of 100,000 hours make Delta’s obstruction beacons the smart choice. 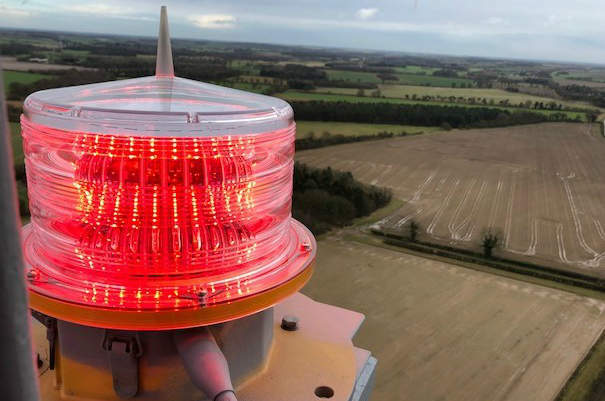 The WL2500 red LED medium-intensity obstruction beacon incorporates state of the art LEDs in an efficient optical design, providing the performance needed in order to meet ICAO, CAA and FAA requirements whilst only consuming 48W of power. The WL75 Mk3 obstruction light is a low intensity omni-directional Type A aviation obstruction light that complies fully to the requirements of ICAO annex 14 and CAP 168. A long lasting, reliable light, it is ideally suited to arduous environments where access is a problem. It is available as a battery-powered unit, and stand-alone versions are available, complete with photoelectric control. The WL50 Mk3 has an objective lifespan of approximately 75,000 hours. 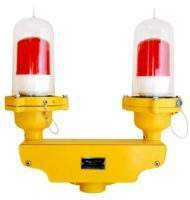 Delta’s WLTWIN75 low intensity, Type A, omni-directional duty stand-by obstruction light is a twin lamp general-purpose aircraft warning light with long life LED lamps. The WLTWIN75 consists of two WL75 aviation obstruction lights and die cast aluminium light fitting, which houses the electronics and LED clusters. The WLS-10 low intensity solar powered aviation warning light is a LED omni direction light specially designed for marking hazards to air navigation. 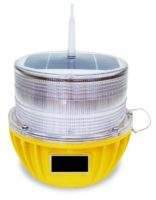 With its flashing red safety light coupled with the latest LED technology, high grade silicon solar battery module, maintenance-free NIMH battery the light will provide over 20 days of continuous operation in continuous rainy and cloudy days. The built in photocell switches ON and OFF at dusk and dawn. The product has the advantage of shockproof and can withstand the harsh effect of the environment (such as thunder, storm, typhoon and hailstone). Many bridges and buildings may require obstruction lighting due to their height, surrounding environment, or proximity to airports. Delta supplies aviation obstruction warning lights to be installed on tall structures, such as tower cranes and wind turbines. The lights feature a modular, integrated design, as well as a waterproof seal to protect against prolonged and deep immersion in accordance with the IP68 standard. Medium and low-intensity red lights are mounted as close as possible to the top of high-rise structures. Such lighting should be visible from all directions, even at night. Delta’s call alert director allows total monitoring and control of your warning light system via mobile telephones. Simple to use, the call alert director notifies your mobile phone when the lights are operational, of any failures, and of the complete service status of your system. With Delta call centre management, we provide total care of your system 365 days a year. Incorporated into a service agreement to suit every need, we provide everything from basic system information to a fully serviced 24-hour call-out service. For one of our biggest clients, British Telecom, we provide remote monitoring and maintenance of 30 unmanned masts and communication towers throughout Britain. Although Boaty McBoatface previously topped the public vote, the UK’s new polar research ship is to be named RRS Sir David Attenborough. 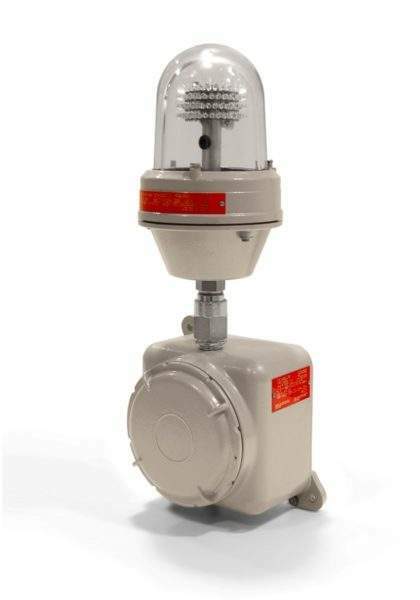 The WL3000 medium-intensity obstruction light (Type B / C) can be used to mark towers, chimneys, buildings and any other potentially hazardous obstructions to air traffic with a steady burning red safety light. 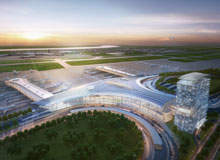 A new North Terminal is being constructed at the Louis Armstrong New Orleans International Airport (MSY) in Louisiana, US. 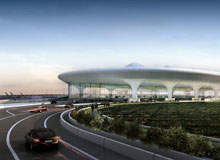 A new second passenger terminal, Terminal 2, was inaugurated at the Chhatrapati Shivaji International Airport (CSIA), Mumbai, India in January. The terminal was built as a part of the airport's $2bn modernisation programme that was initiated in 2007. Vivid Sydney is a festival taking place from Friday 27 May to Saturday 18 June featuring a number of sculptures and installations allowing visitors to celebrate the joys of light and music. Heathrow, one of the busiest airports in the UK, has recently celebrated its 70th birthday. The Queen recently celebrated her 90th Birthday and marked the occasion with a party.